The ‘Clavius Building’ forms the second phase of the college’s masterplan, meeting the requirements for a new Maths, Science and Technology Block for the Upper School. 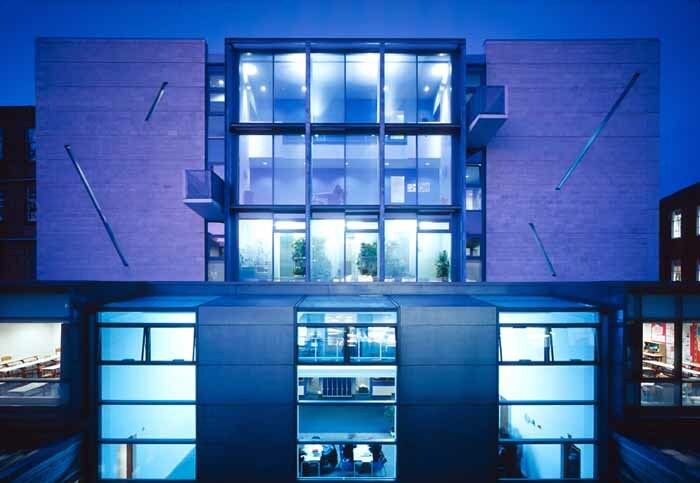 The 5-storey building occupies a restrictive sloping corner gap site and offers a pragmatic approach to the client’s requirements whilst respecting the scale and massing of the adjacent buildings. 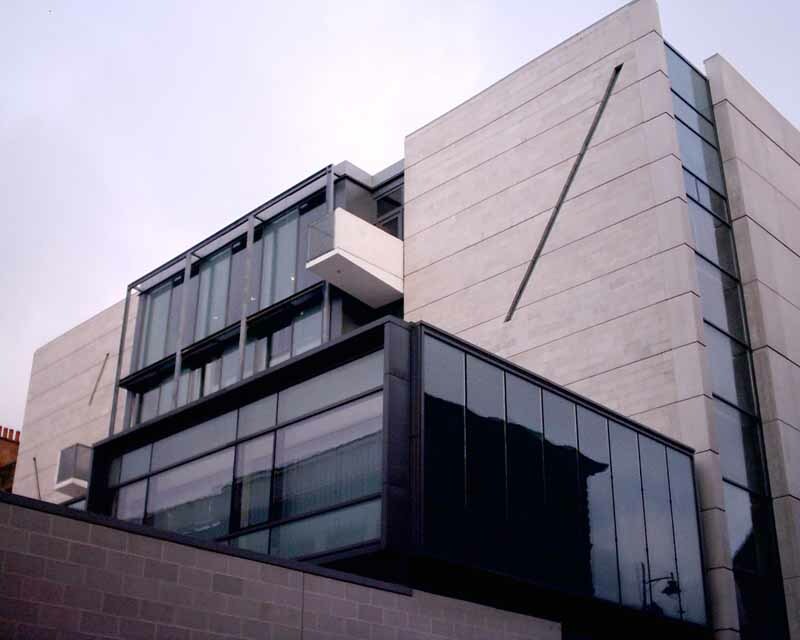 The judges felt the building had a good strong urban presence and dealt with a difficult site in a bold and clever way providing their client with a solid, functional and memorable building. 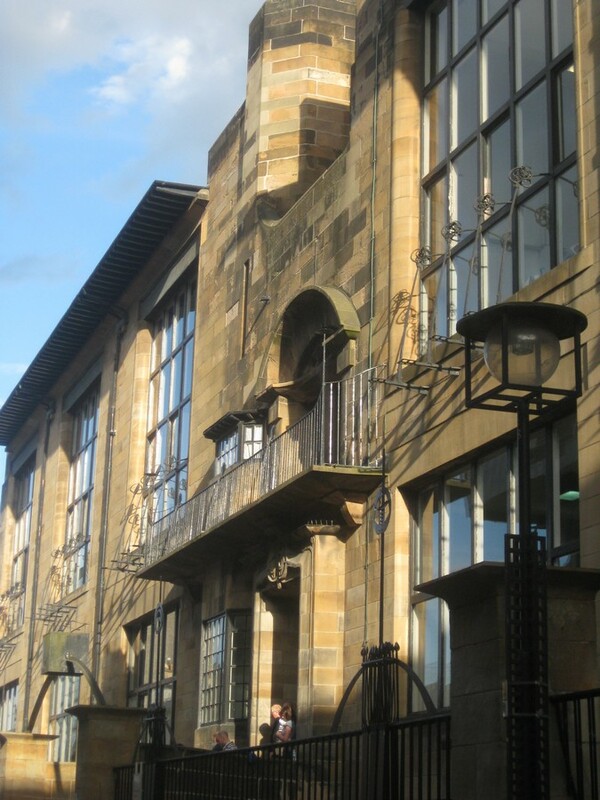 St Aloysius College is a long established private school located in Garnethill, a historic urban quarter of Glasgow, and adjacent to the reknowned Mackintosh School of Art. By the mid 1990’s the College had agreed upon a progressive programme of expansion and renewal targeted to meet future and changing demands upon the College and safeguard the quality of the education provided. 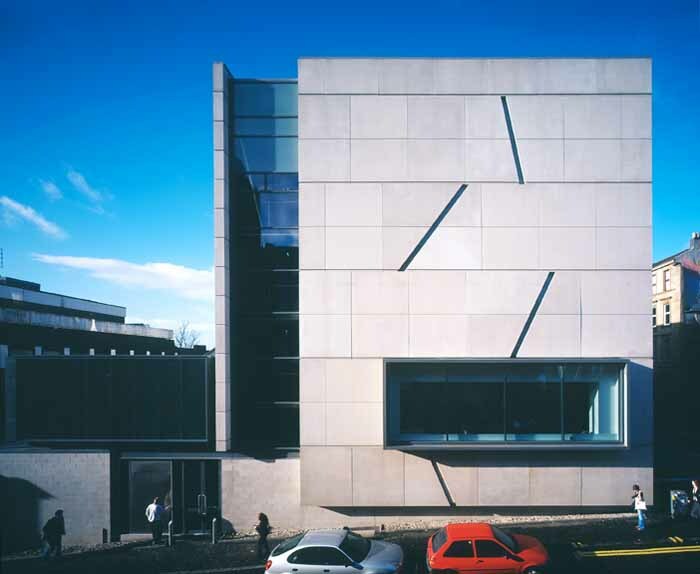 The ‘Clavius Building’ forms the second phase of the College’s masterplan, meeting the requirement for a new Maths, Science and Technology Block for the Upper School, providing 25 specialist classrooms and related facilities and giving the College flexibility to reorganise the existing accommodation. 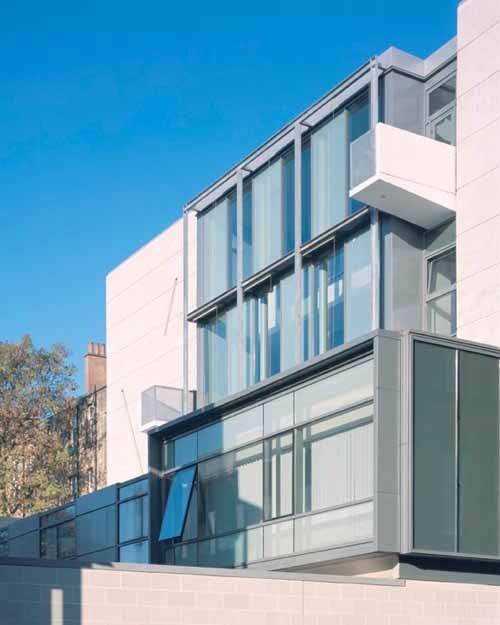 As with the College’s Junior School which was completed in 1998, the challenge here was to design an effective school building within a very tight site, and in the context of the streetscape within a local Conservation Area. 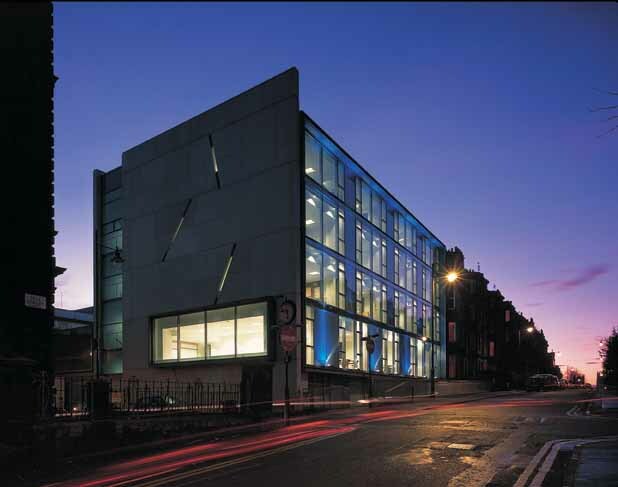 The restrictive city-centre site required a pragmatic response to meet the College’s requirements while respecting the scale and massing of the adjacent buildings. 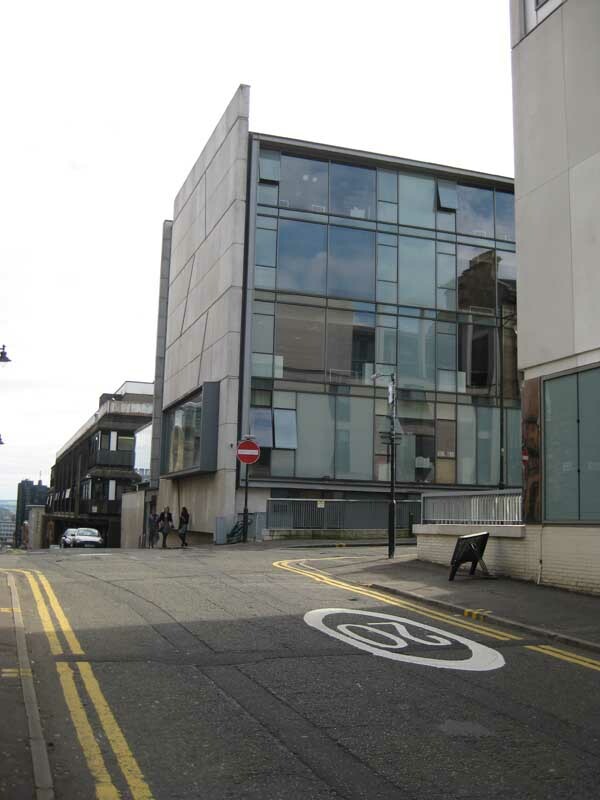 The building occupies a sloping corner gap site, opposite the Main College and abutting a long block of tenements on Hill Street. 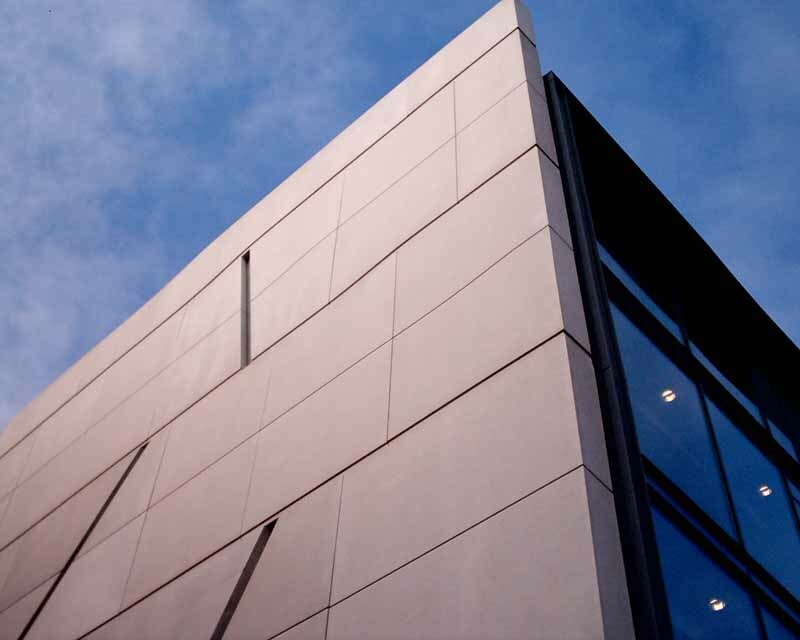 To maximise the teaching accommodation on the site, a stacked 5-storey classroom block developed as an extension of the tenemental street, digging in to the slope to achieve an extra storey. 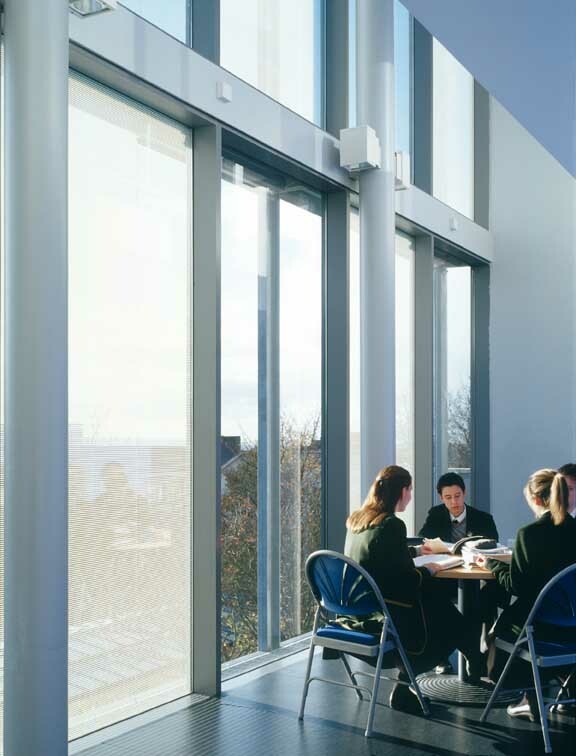 Although the school was to be structured around the framework of traditional classrooms, the client desired a light and airy building, recognising the contribution that large windows can make to the teaching environment. 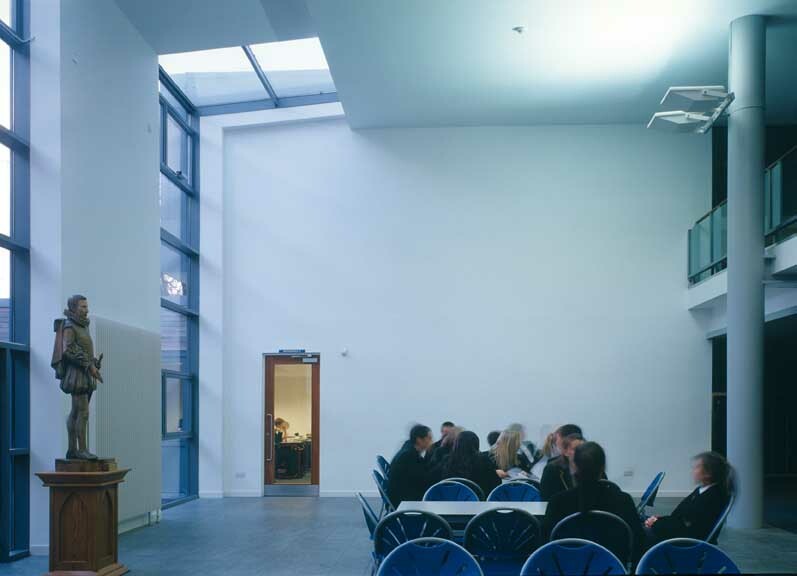 In response to this the classroom block became fully glazed to the north, with all classes accessed from a circulation zone to the rear. 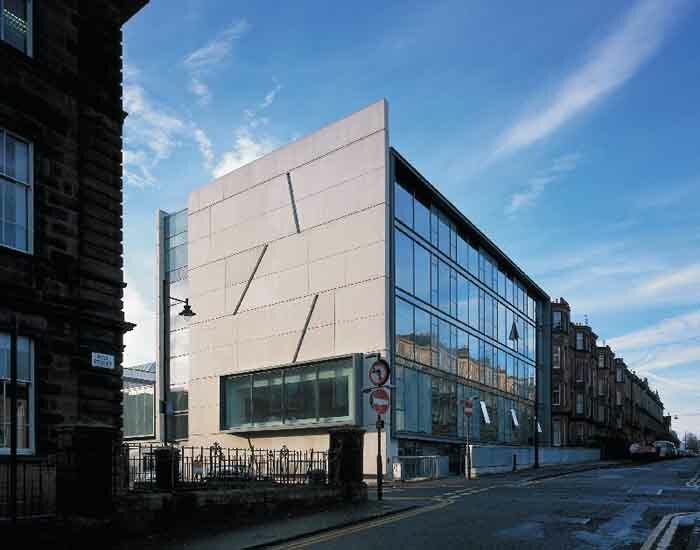 The extended city block created is terminated by a floating precast concrete gable which takes it’s scale from the now concealed tenement. To the south the building changes scale to meet the neighbouring Art School building further down the hill. As the building steps down, the section changes to generate interest of route, creating double volumes, social spaces and a garden area which integrate with the teaching accommodation to become a memorable journey with a variety of opportunities and experiences. 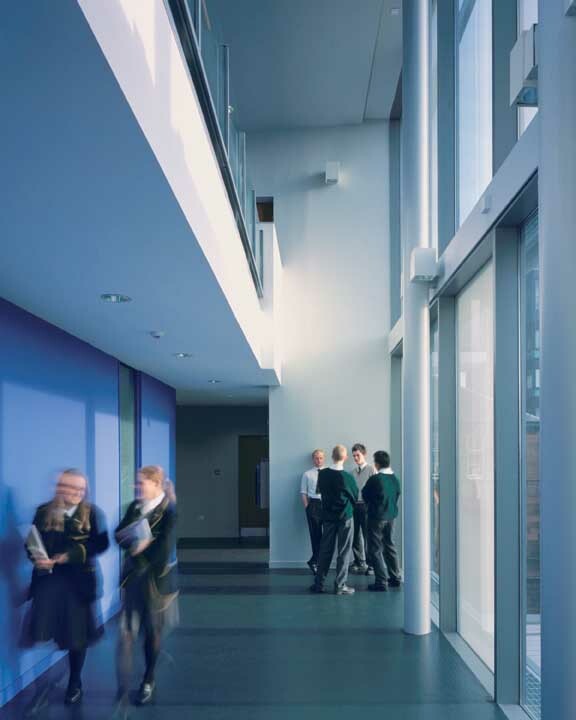 The close involvement of the College at each stage of the design development ensured that the building supported the educational ethos of the School and greatly assisted in the development of stimulating environments for the pupils. 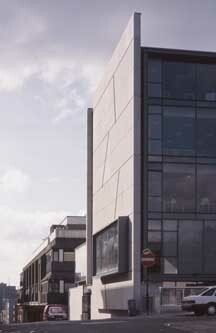 The building was concrete frame construction and was completed in Aug 2002.